Earthy Mama: Our ROCKIN' Cake! So tomorrow is my daughters 8th birthday! 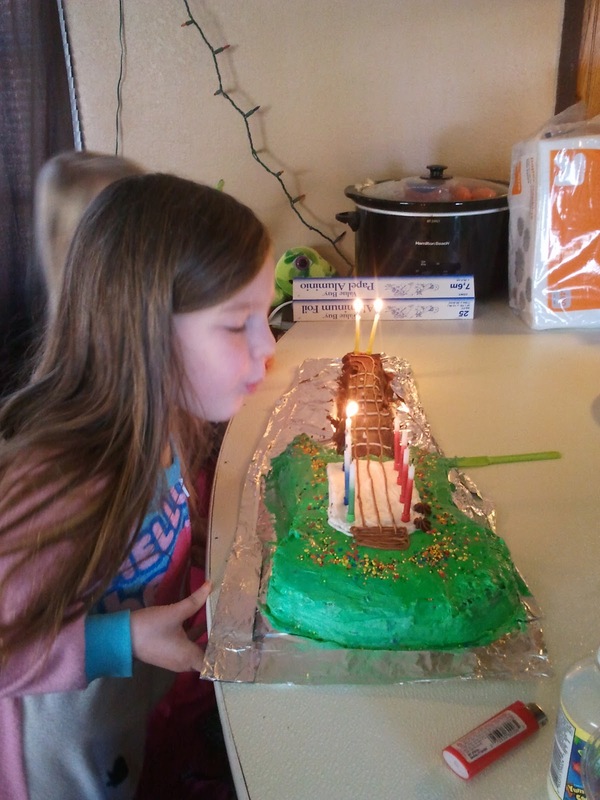 I can't even believe that I have an 8 year old, but that is another story. When I gave birth to the little butter ball it was on Super Bowl Sunday. So we have made it a tradition to always have her little party on that day each year. This year she got a guitar for Christmas and loves it! 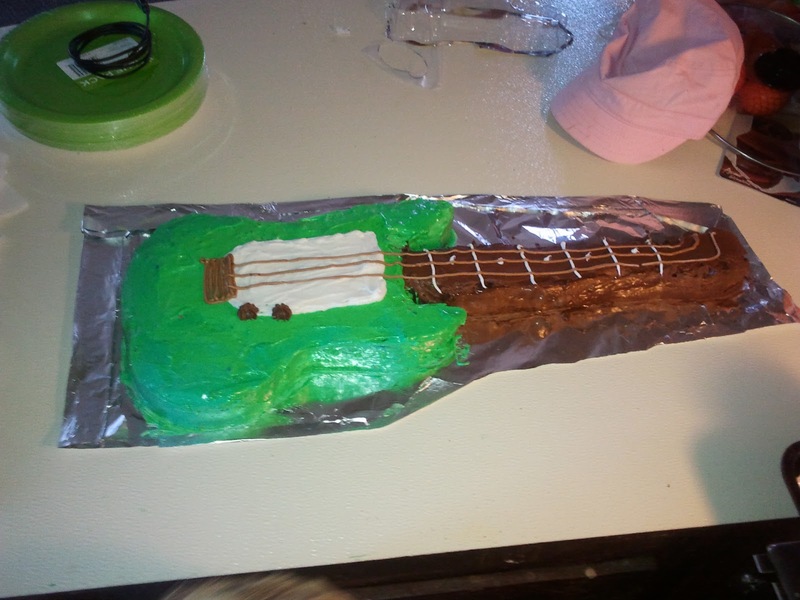 I decided to try my skills at a guitar cake as well. I started out using this template but had to free hand it to make it a bit bigger. I couldn't for the life of me figure out how to do it on my printer or computer. 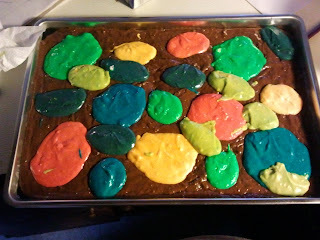 Next I used a chocolate cake mix and poured at the bottom of a 15X11 sheet cake pan. I think took several bowls of vanilla cake and mixed in food coloring to them. I then poured globs randomly through the cake. Thought it would be a change up from the average marble cake. Baked it according to the box of cake mix (ya had to much to do I wasn't going to go completely homemade). After it is baked I chilled it for about an hour and turned over onto the counter and placed the template over it. Cut around the template and hope to end up with something close. I will never use the "P" brand of cake mix again for this lol. Even chilled it was very crumbly and hard to move around. 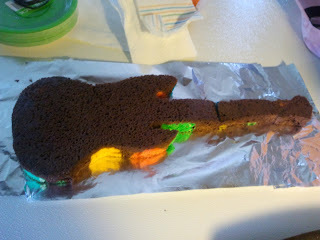 Which led to being really hard to frost. I dirty frosted it first and even let it sit and tried to add the finishing frosting and it still wanted to crumble and not stick to the cake. Still it turned out decent and the kids loved it! Birthday girl was happy so it was a success.